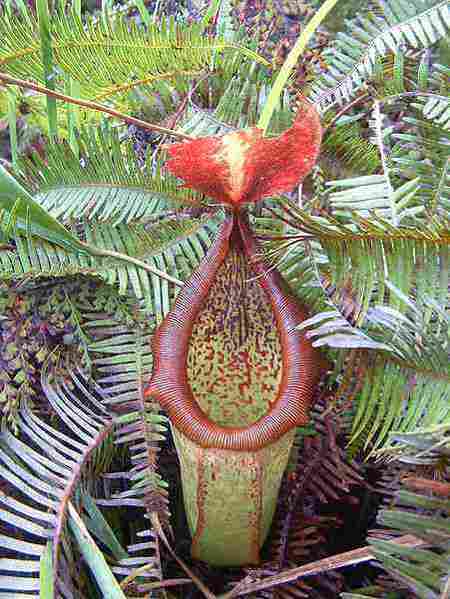 This plant is carnivorous, not just get nutrition from earth but also eat termite as nutrition. 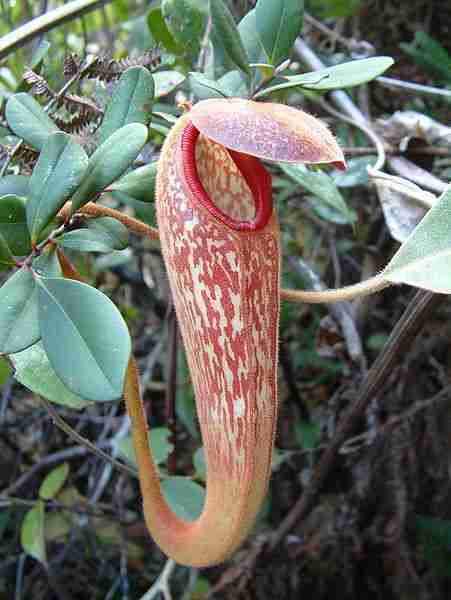 Beside termite, this plant also eat fly, ants and many other small animals. Pocket has a shape like a cup with a hole in the middle. 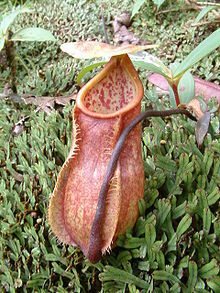 The lip of the cup containing the nectar that serves as a trap for insects. While the inside of the cup has a slippery surface, making the insects can easily fall into the cup. In the wild, nephentes strategy in order to get this food works well. Every day, thousands of insects come flocking semar bag. They thronged the lips the cup to be able to eat nektarnya and in the middle density, some termite-crossed forced to fall into the inside of the cup. If the insect has been dropped, then finished already. Pocket will be shut, not allowing the insect to escape. The termites have to give him a meal for this plant. 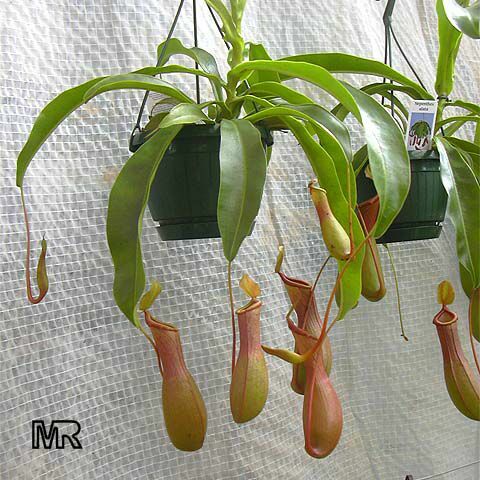 The bag will absorb the nitrogen in termites, and then use them as nutrients.